Another new shiny Gutenberg addon plugin by Phpbits Studio @phpbits. This plugin brings more power to Gutenberg Blocks. A really useful plugin if you wish additional controls such as conditionally show/hide certain blocks on a page/post. This is a freemium plugin, with the free version available now and premium in works. Let’s review the free version of the plugin and find out all it can do and how to use it. 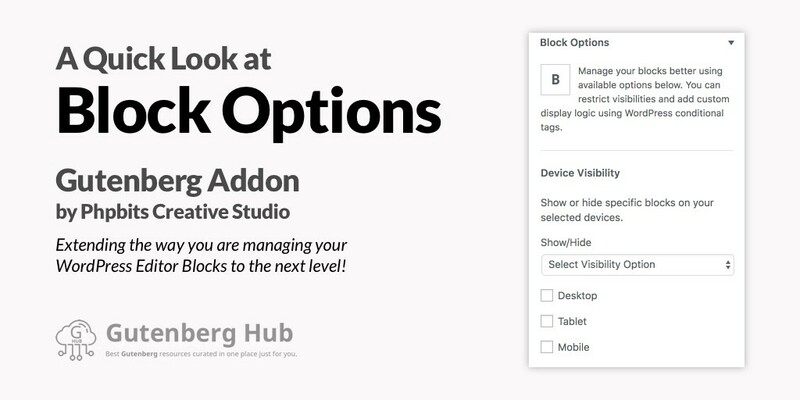 The free version of the Block Options plugin brings three main features (as of today). 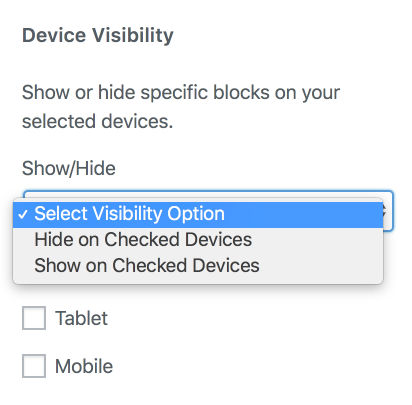 If enabled, this features allows you to restrict Gutenberg Editor Blocks easily on mobile devices, tablets and/or desktops! You can now serve different contents on specific devices to get more user engagement. 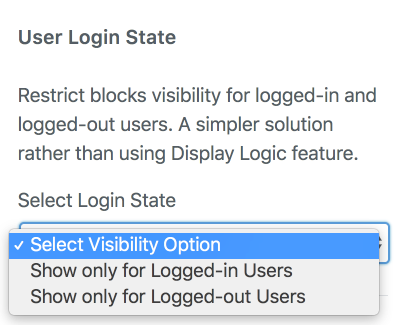 If enabled, this feature allows you to display better contents to your beloved customers by showing blocks on logged-in or logged-out users only. This way you can show members-only Gutenberg blocks easily. 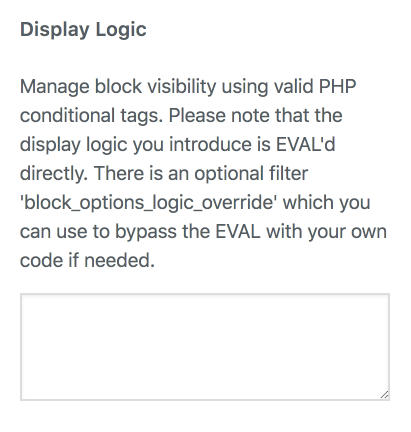 If enabled, this feature allows you to use custom WordPress PHP conditional tags to manage visibility. You can pass any additional condition using PHP into the provided custom text area control on each block. Get some useful WordPress conditional tags you can use here. This plugin comes with settings control panel to easily enable/disable features you need on a website. Really handy, simply disable a feature if you won’t need to use it. Well, we may expect to get more features to the free version in coming days. If you have a suggestion/idea you should pass it to the developer here. And also check out the planned premium features mentioned on the developer’s website. And subscribe to get notified when it get’s released.